This is another famous L.A. beach run. 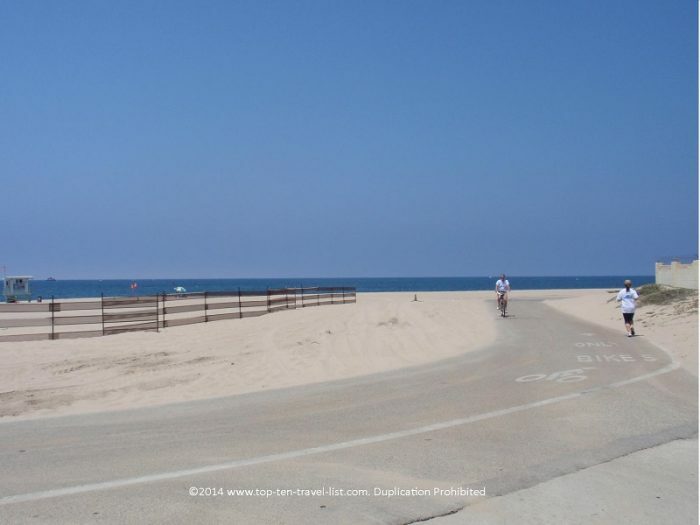 Starting at Santa Monica Pier, this dedicated paved path goes 3.3 miles to Venice Beach, ending at Washington Blvd. It’s 2 miles from the Santa Monica Pier to the Venice Beach boardwalk, if you’d like to cut the run a little short, taking in including Muscle Beach, the famed outdoor basketball courts, and Venice Skatepark.